Here's where to watch every episode of Hazel season 1. Mouseover or tap an episode to see where to stream it. Click or tap the play icon to stream it on the best available service. Hazel and the Playground Sep 28, 1961 While trying to teach Harold how to kick a football, Hazel realizes that what is needed in town is a playground for the children. This leads her to go all out to try to get one despite George and his clients' opinion. 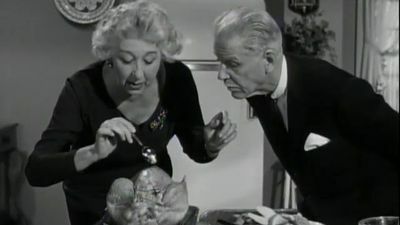 Hazel Makes a Will Oct 5, 1961 It's that time of the year when Hazel begins warming George up to the idea of a raise but this year, he absolutely refuses, leaving Hazel furious. Later, when Hazel falls and hurts herself, she decides to draw up a will, but George thinks she's planning a lawsuit against him. 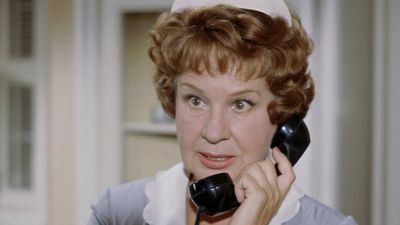 Hazel Plays Nurse Oct 12, 1961 Hazel plays Nurse for Mr. B & Missy as she taking care of the ill Baxters around the house after getting caught the flu. 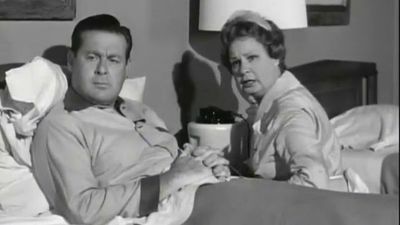 It's up to Hazel to get them better with a dose of medicine until Harold is the last Baxter to get caught by the flu. 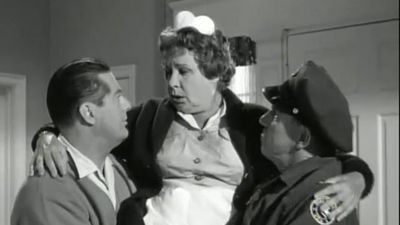 A Matter of Principle Oct 19, 1961 Hazel is in no mood to be the perfect maid to an important client of George's after she gets a parking ticket that she is sure she didn't deserve. Although, the fine is only a couple of dollars, Hazel wants George to represent her and help her prove that she wan't at fault. 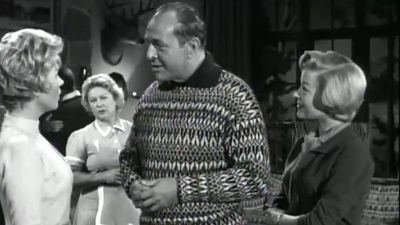 Dorothy's New Client Oct 26, 1961 A competitor of Dorothy's is trying to get her to join her interior decorating business but Dorothy is content with her own small business despite few customers. 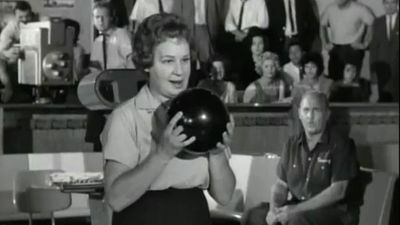 This prompts Hazel to try to influence the new neighbors into hiring Dorothy to furnish their home. What'll We Watch Tonight? 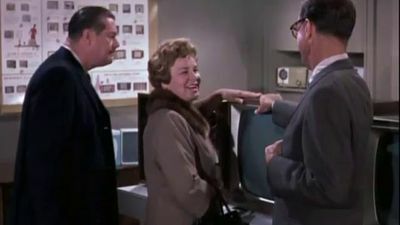 Nov 2, 1961 George and Dorothy's nightly television viewing has been getting interupted by Hazel who's excuse is that her television set in her room is broken. 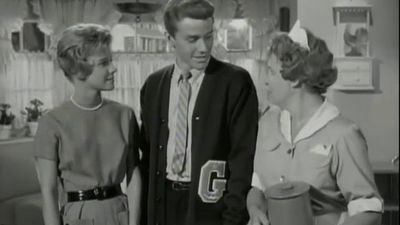 This leads to George taking her down to the store to by her one, which is where she decides to get a color TV and quickly becomes the talk of the town. 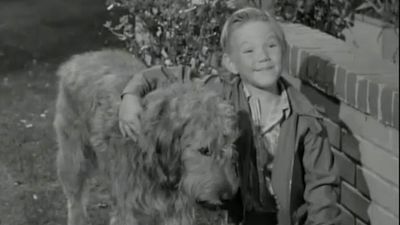 A Dog for Harold Nov 9, 1961 Harold is out playing and finds an abandoned dog and brings him home. Hazel and Dorothy are overjoyed but the joy becomes fear when they remember that George forbids a dog in the house. This leads them to plot together to convince George to let Harold keep the dog. Winter Wonderland Dec 7, 1961 The Baxters are planning a weekend ski trip to a lodge and Hazel is planning on going along to be in a snow contest with a man she has a crush on. 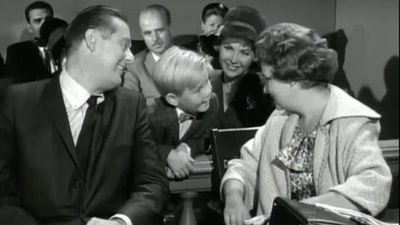 However, Hazel may have to sit out of the race when George has to work unexpectedly and insists that Hazel stay with him while Harold go along ahead. 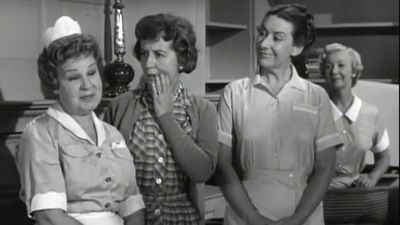 Hazel's Winning Personality Dec 14, 1961 Hazel's friend Laura wants to get the attentions of a new gardner in the neighborhood but has some trouble doing so. 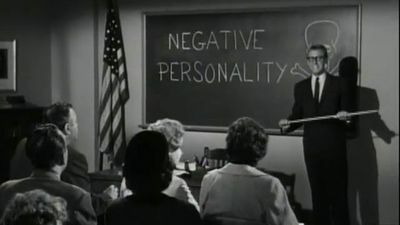 This leads her and Hazel to take a class in changing your personality. Soon, Hazel begins doing so to hers and begins doing just what the instructor tells the class, shower everyone with compliments. However, Hazel's constant complimenting gets her into hot water with George and Dorothy. 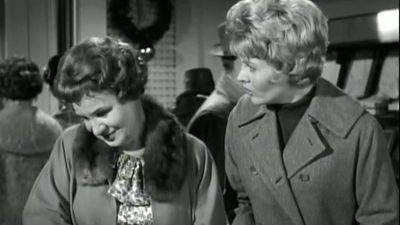 Hazel's Christmas Shopping Dec 21, 1961 Hazel has one gift to buy before Christmas and it's for Dorothy. However, when she discovers she doesn't have enough money for it, she gets a job at a department store and encounters a shoplifter. 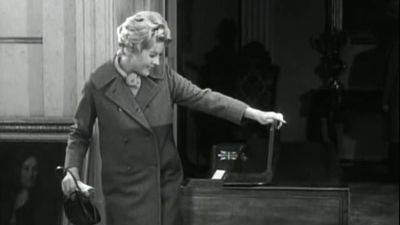 Dorothy's Obsession Dec 28, 1961 Dorothy must have a piano she sees at an antique auction.